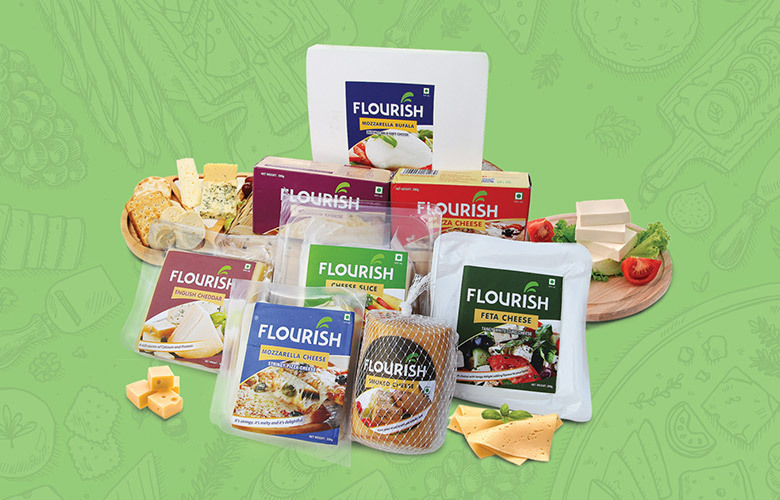 Flourish brings to you four different milk variants; Rich, Fit, Lite in 500ml pouch & Tea Magic in 1000ml pouch. 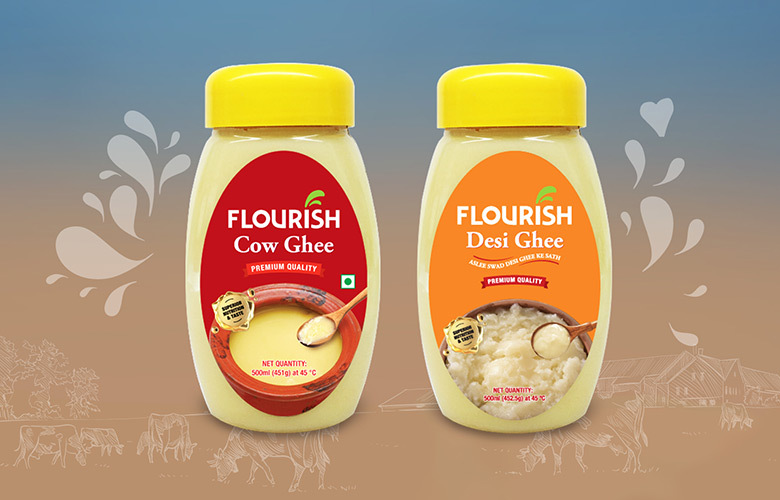 Flourish Purefoods have its own farm where we take care of our cows health and food. 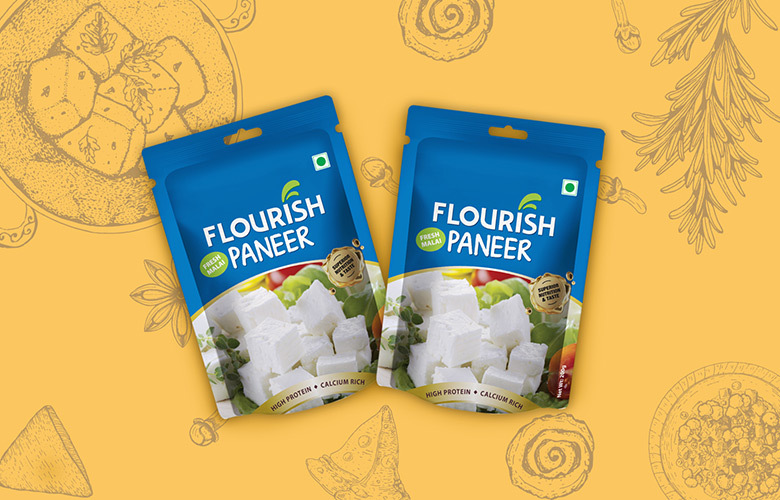 We follow international quality and hygiene standards at our plants. 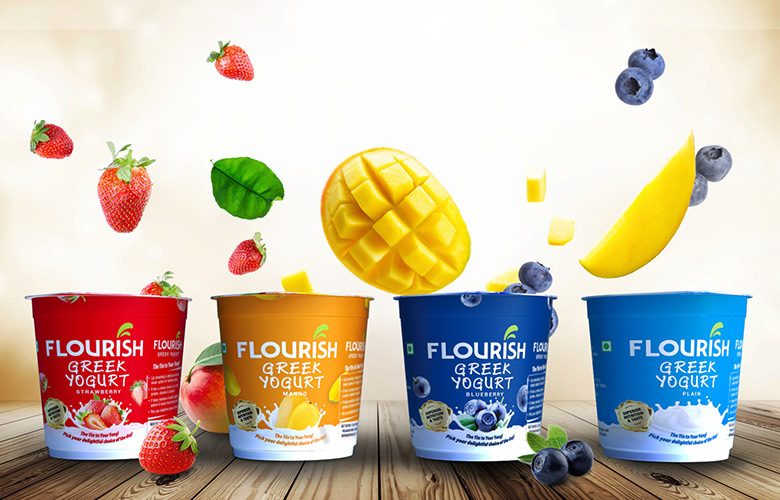 Flourish milk passes through stringent quality test before it reaches you. 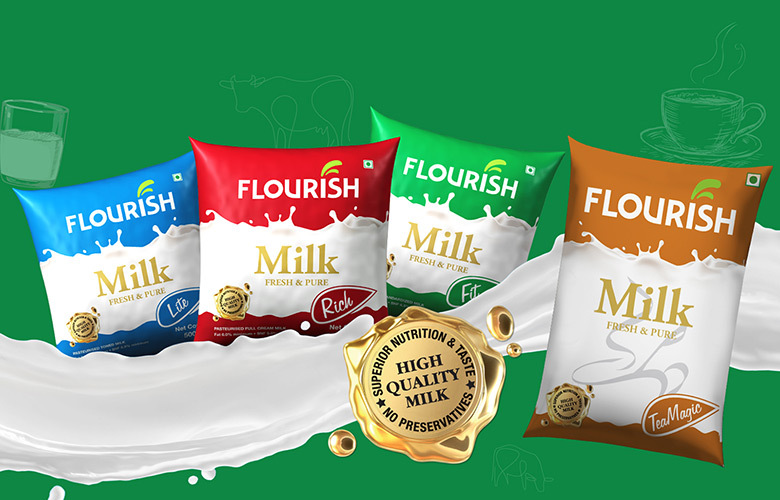 Milk is rich in calcium, protein, carbohydrate, vitamins, & minerals. 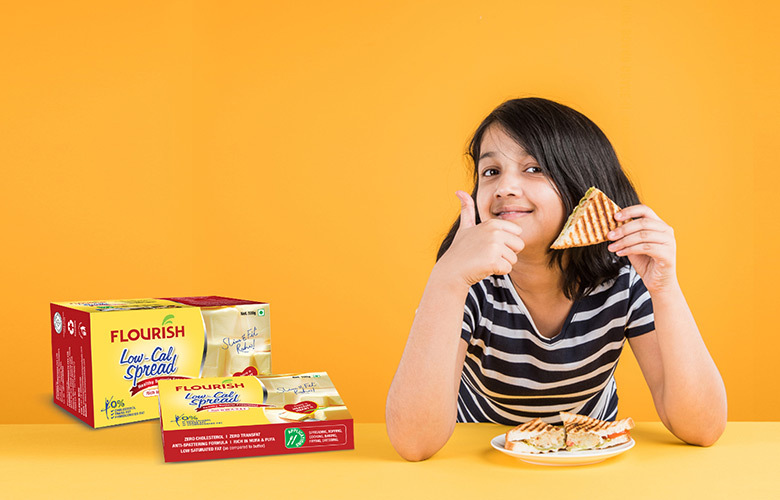 Milk improves heart health, bone strength & dental health. 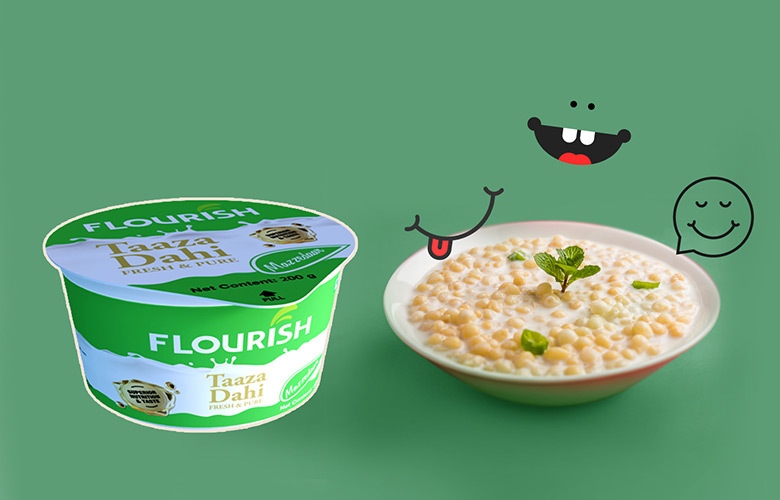 Milk nourishes and aids the growth of body. It reduces acidity, improves hydration and improves overall health. 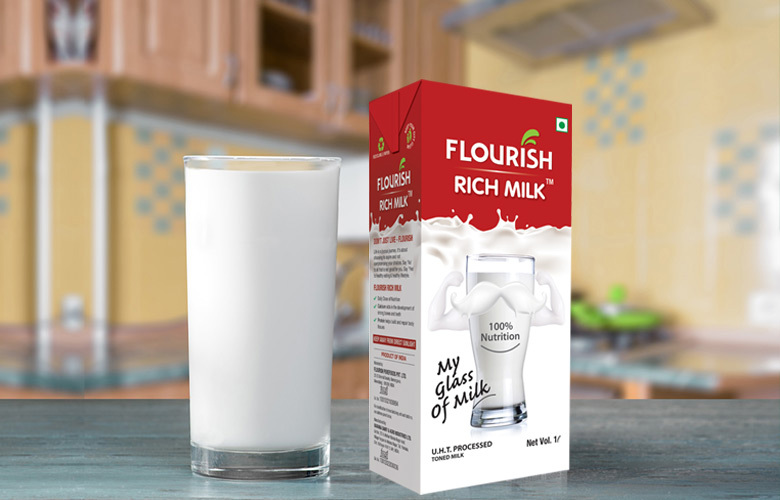 1 litre milk provides 120% of RDA of calcium, 80% of RDA of Vitamin B12, 35% of RDA of fats, 10% of RDA Carbohydrates and 55 % of RDA of Proteins. Keep milk refrigerated under 4 degree celcius to avoid spoilage.